CapraMilk is a delicious powdered goat milk that comes directly from Dutch goat milk farms in the Netherlands. 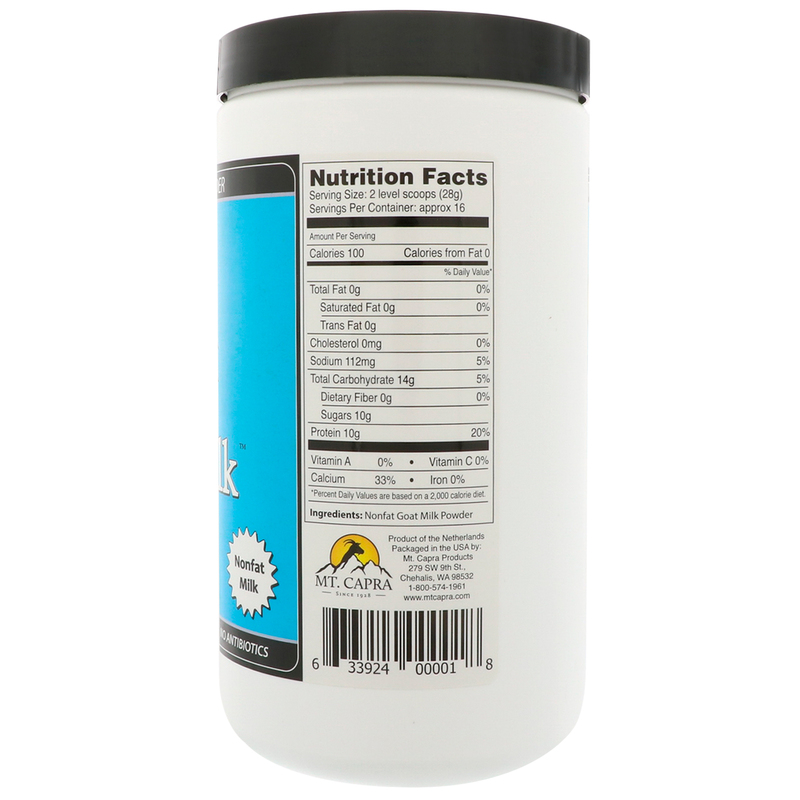 Goat milk is naturally homogenized and has a lower allergy potential than cow milk. 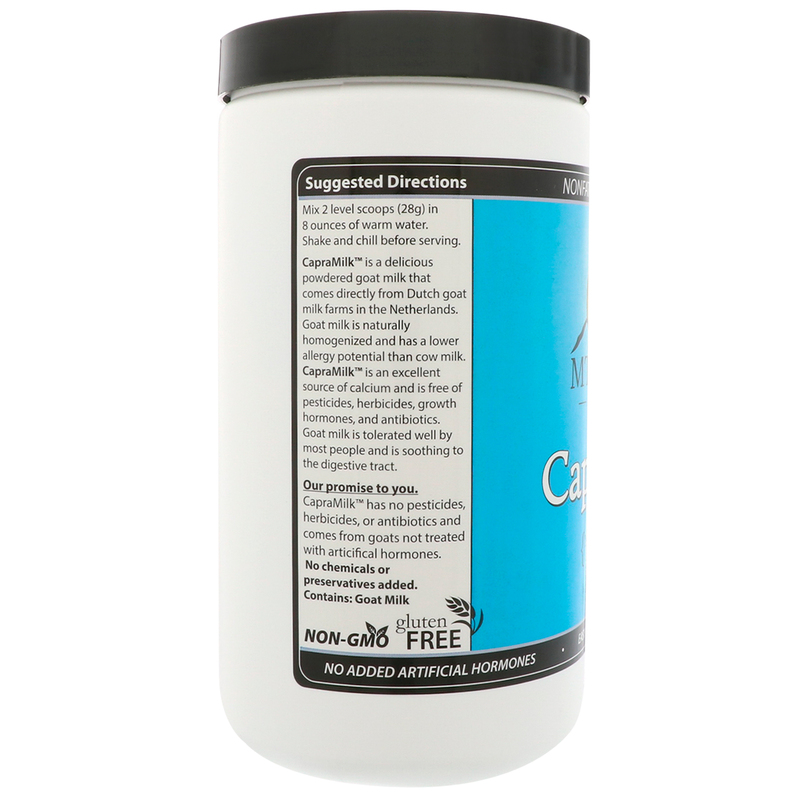 CapraMilk is an excellent source of calcium and is free of pesticides, herbicides, growth hormones, and antibiotics. Goat is tolerated well by most people and is soothing to the digestive tract. Mix 2 level scoops (28 g) in 8 ounces of warm water. Shake and chill before serving. 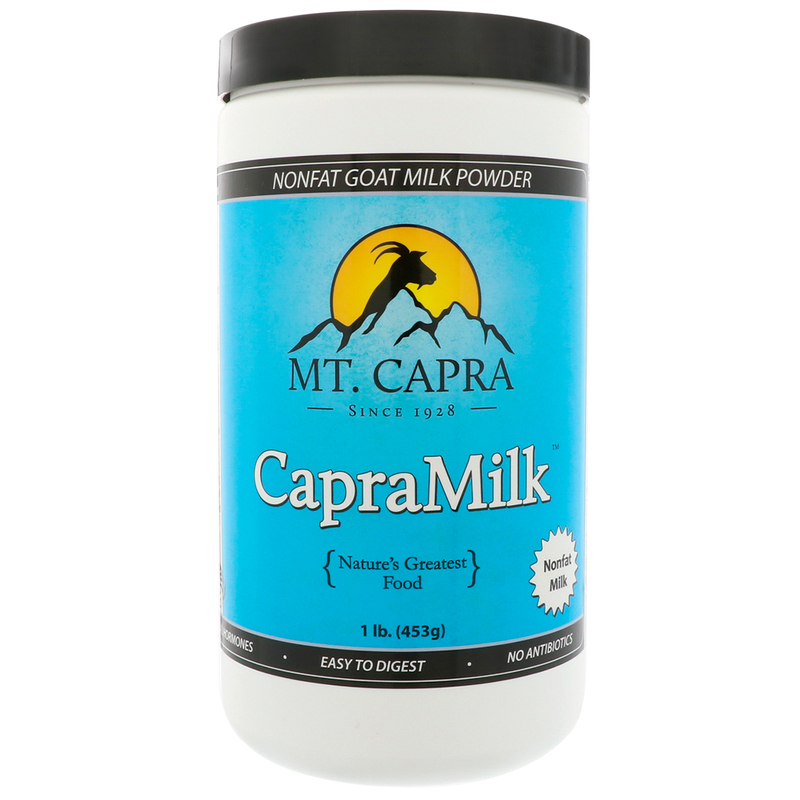 CapraMilk has no pesticides, herbicides, or antibiotics and comes from goats not treated with artificial hormones. No chemicals or preservatives added.